FlutterbyeFaery Designs: Backyard Friends! NEW!!! WOW! This kit is fun, bright, and HUGE! 18 papers, 85 elements, and a full alpha! Definitely not all items are shown on the preview! 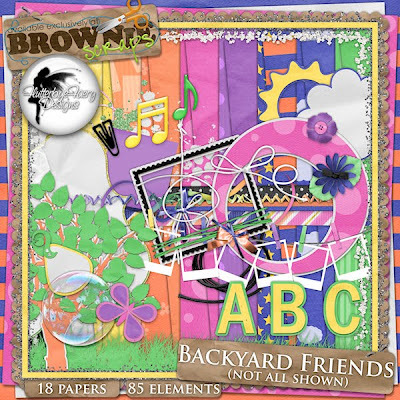 Elements include bows, buttons, flowers, frames, ribbons, and so much more! Get it this weekend for 25% off!!! That's $4.50 for all of it!! !